Slow Cooker Barbecue Ribs - the easiest way to "fall off the bone" ribs! Slow Cooker Barbecue Ribs. 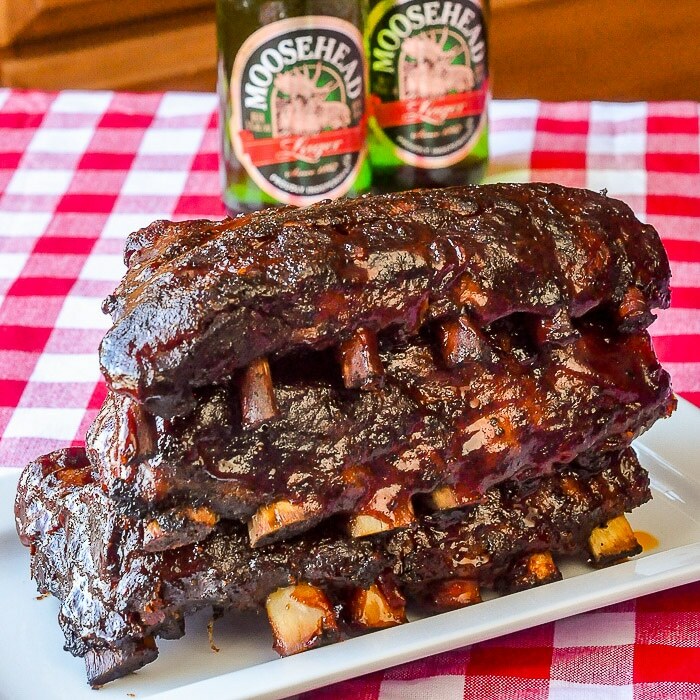 A year round way to enjoy meaty, tender, finger licking, fall-off-the-bone ribs with the easiest preparation method ever. 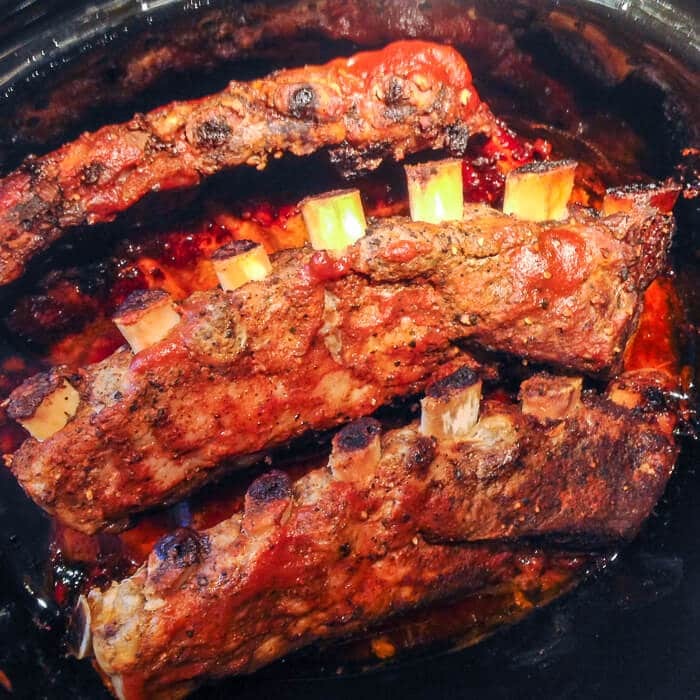 This slow cooker barbecue ribs recipe is more of an instructional guide than a recipe. I have added the ingredients for my Smokin’ Summer Spice Dry Rub in the recipe but you can use any BBQ seasoning mix you like. I’d encourage you to take a look at that recipe page anyway, just to see how versatile that BBQ spice rub actually is. There are lots of great pictures there showing just how we use it year round on ribs, chicken, pork, and even as a seasoning for steaks and burgers. In my kitchen, I am never without this spice blend on hand. For convenience, I’ve also added the recipe for my Honey Molasses BBQ Sauce to the post as well. 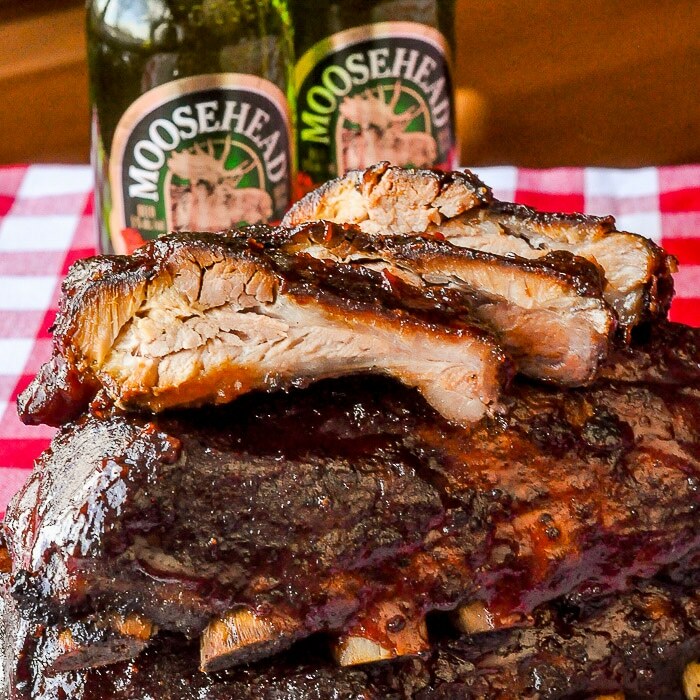 While you can use any BBQ spice blend and BBQ sauce you like, these 2 suggestions really do make an outstandingly delicious flavour combination on these ribs. The slow cooker is one of the most ideal ways to cook ribs because of the low temperature and steamy environment it provides. This essentially allows the ribs to braise slowly, rendering out the majority of the fat and breaking down the connective tissue in the meat to fall-off-the-bone, tender perfection. The one caution I would make is not to leave the ribs in too long. Ribs are great when they fall off the bone, but when they are so tender that they cannot be lifted from the slow cooker and cut into individual ribs without totally disintegrating, it sort of ruins their presentation a little. I doubt anyone will complain about the flavour though, so don’t stress about it too much. A bit of practice with making these a few times and you’ll get a good sense of how long to let them cook. Check the notes section of this recipe to see how you can make these a day ahead and have them ready for dinner in less than a half hour. 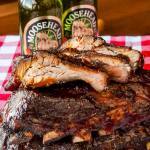 Like this Slow Cooker Barbecue Ribs recipe? Be sure to check out many more recipes for tenderloin, chops, roasts and even more rib recipes in our Pork Recipes Category and even more delicious recipes in our BBQ & Grilling Category. Slow Cooker Barbecue Ribs - a year round way to enjoy meaty, tender, finger licking, fall-off-the-bone ribs with the easiest preparation method ever. Mix together well and store any unused dry rub in an airtight container in a cool place. I like to mix it together by pulsing it together in the food processor. This ensures it is very well blended and also breaks up any lumps in the brown sugar. It also makes it a finer consistency, which is helpful when using it in a spice shaker. Simply add all of the ingredients to a small saucepan and simmer over medium low heat. Stir the sauce occasionally and simmer for 20-30 minutes or until the sauce thickens to a consistency similar to ketchup. Liberally sprinkle both sides of the ribs with dry rub. You don't want to spare the seasoning. Use plenty. At this stage you can wrap the ribs in plastic wrap and leave them for up to 24 hours before cooking. This allows the seasoning mix to penetrate flavour into the meat. This not essential, you can choose to start cooking them immediately of you don't have time. After dry rubbing the ribs, brush both sides liberally with the bbq sauce. Place the ribs into the slow cooker with their ends sticking up. This will allow them to cook more evenly than stacking the racks of ribs on top of each other. Cook on low for 6-8 hours depending upon the thickness of the ribs. Baby back ribs will be on the lower end of this scale and ticker back or side ribs will take the longest cooing time. Remove the ribs from the slow cooker and place them on a rack on a baking sheet. Turn your broiler on low and broil for just a few minutes on each side before starting to brush on additional BBQ sauce. 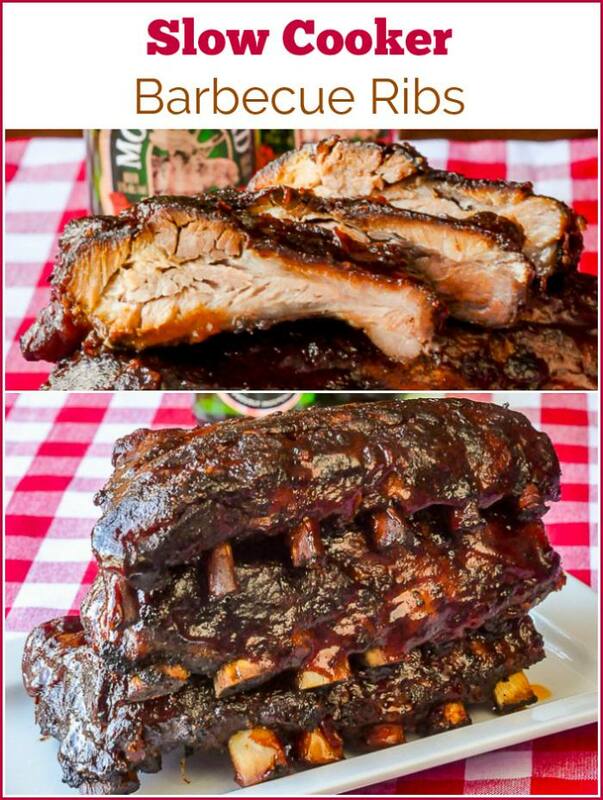 Turn and brush the ribs several times while brushing on the barbecue sauce ti get them well coated. Remove from oven, cut into individual ribs and serve. To make these a day or two ahead, simply wrap and refrigerate the ribs overnight after they come out of the slow cooker. About a half hour before serving turn the oven on 350 degrees F. Place the ribs on a rack on a baking sheet and allow them to heat for 15 minutes. At that point, turn the broiler on low and brush on the BBQ sauce as instructed in the recipe.